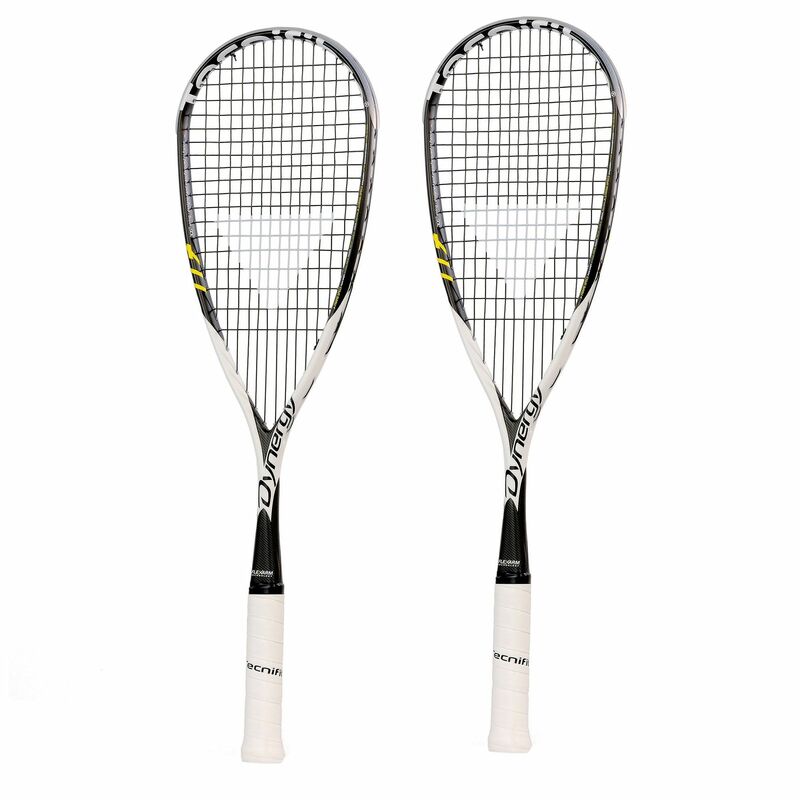 The Tecnifibre Dynergy 117 Flexarm double pack comprises two of these squash rackets which are endorsed by Wael el Hindi and exclusive to Sweatband.com. 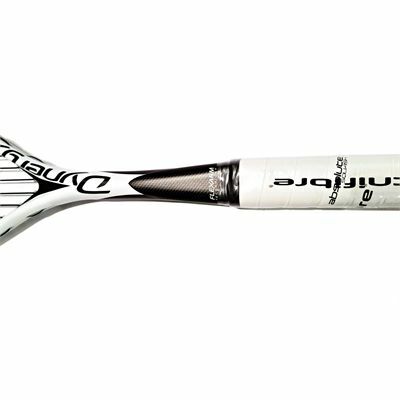 Offering high levels of power and boasting a low weight - 117g (4.1oz) - these rackets are ideal for any playing level, from beginner to pro, and are particularly suited to those who want to add more power to their shots. The power comes from the very large 76in2 (490cm2) head which has a generous sweet so you find it more often. 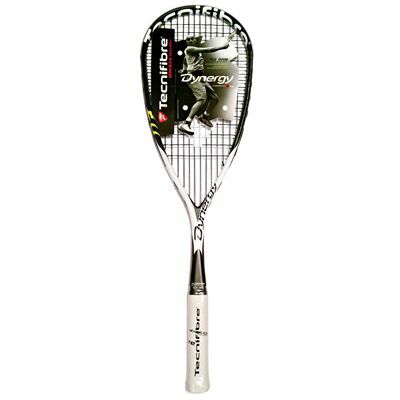 The head heavy balance helps get more energy into your swings, and the beam is stiffer for increased ball rebound off the strings. 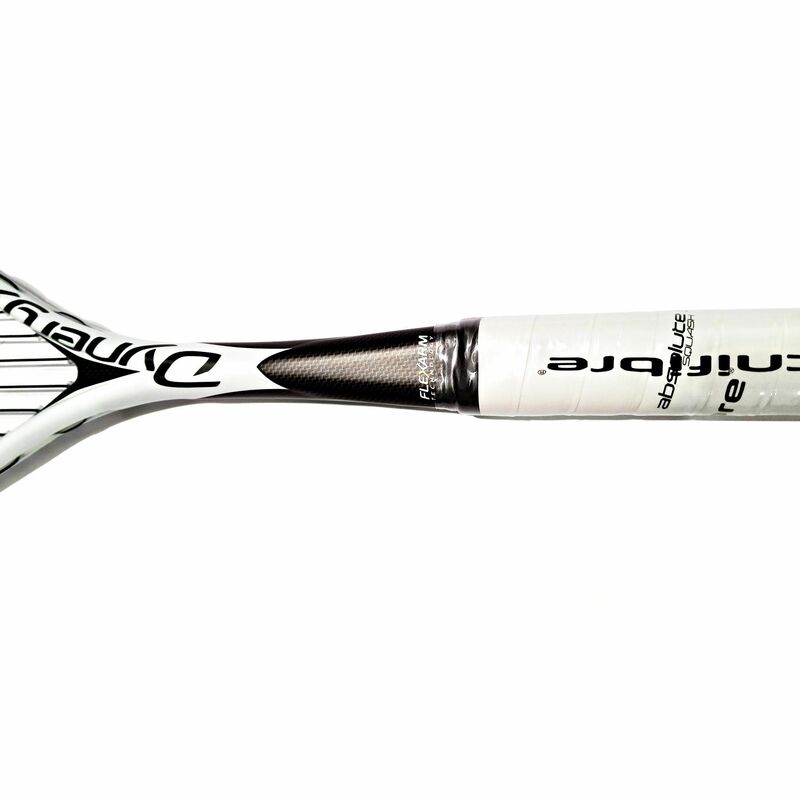 In the shaft above the handle is Flexarm technology which further improves power potential. 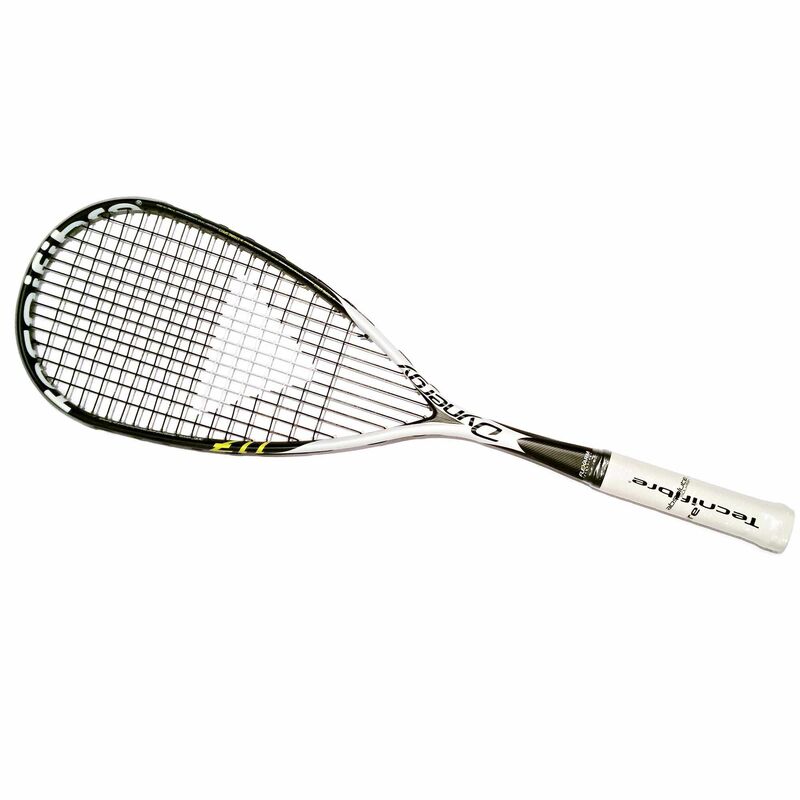 All of this adds up to produce a very powerful racquet that is light and easy to manoeuvre. 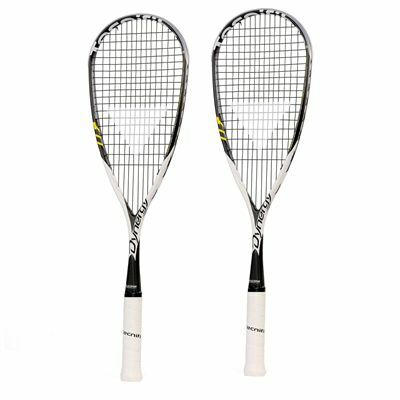 Both rackets in this double pack come strung with a synthetic gut string in a 14x18 pattern and two full length covers are included. 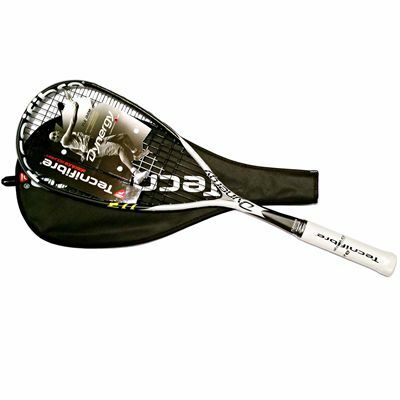 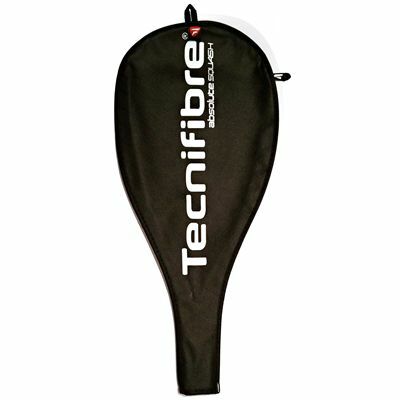 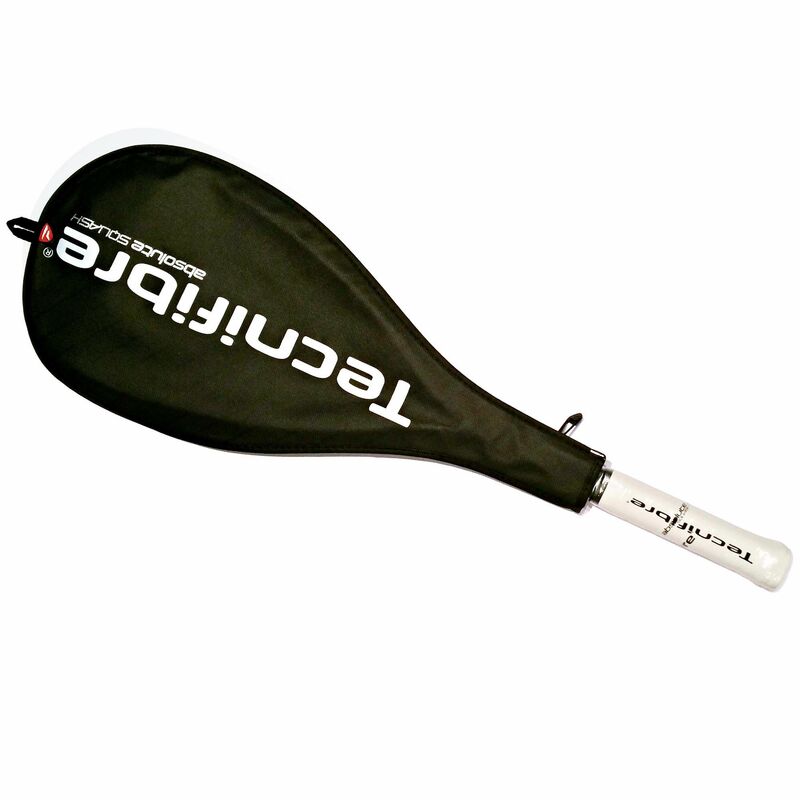 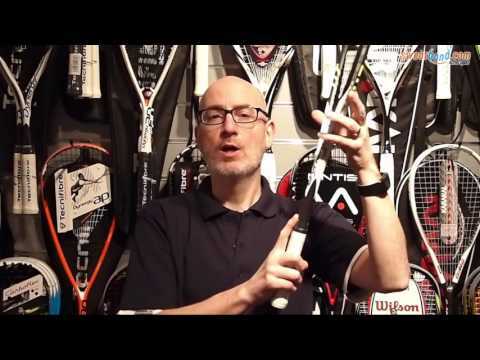 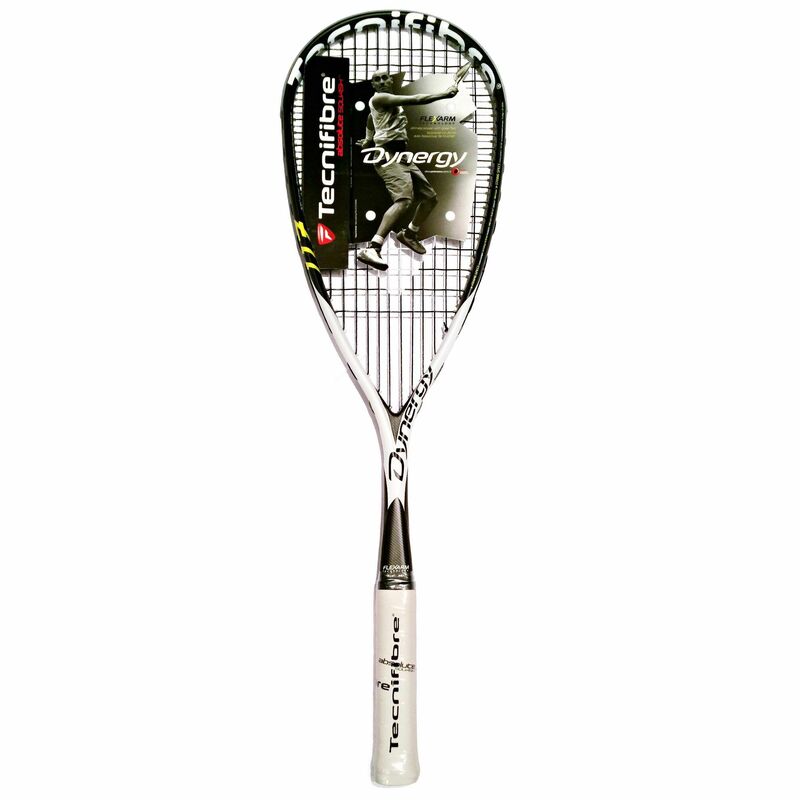 for submitting product review about Tecnifibre Dynergy 117 Flexarm Squash Racket Double Pack.